Five years ago, I met Ann Imig at Writers’ Institute, an annual writing conference held at the University of Wisconsin-Madison. We connected at the coffee station in between sessions and decided to grab lunch at a little Mexican bistro called Chipotle. Ann was in a hurry, see. Little did I know back then just how much Ann can accomplish while her kids are with a babysitter. 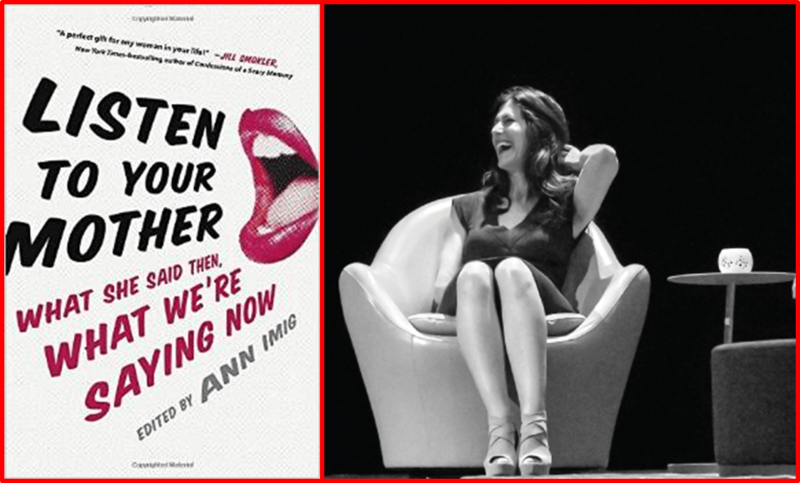 What Ann needed to go shopping for that day was a dress to wear on stage as director of her very first Listen to Your Mother show–a phenomenon that has since grown into a 39-city production and, as of this week, a published book that’s getting rave reviews! Ann and I swapped cards over our burritos that day, not knowing exactly how our paths would cross, but knowing for certain that they would. In the five years since, we’ve formed a writing group with a handful of other Madison writers, reading one another’s early drafts of novels, essays, magazine articles, and more. We’ve toasted book deals and publication dates (cheers to you again, Ann!). And I’ve sat in the audience every Mother’s Day since 2010, listening to writers share their stories about motherhood–what Ann calls “the beauty, the beast, and the barely rested.” In past years, I’ve gone to the show with my mother, grandmother, mother-in-law, aunt, sister-in-law, and various close friends. Because if there’s one thing that the LTYM movement is about, it’s community. Among women, among family, and among writers. I encourage all my mama friends out there to pick up a copy of the LTYM book, which is an anthology of pieces about motherhood written by women around the country. Not a mom? Buy a copy for a woman in your life who is. I promise she’ll laugh and cry at the stories inside, and thank you for recognizing that mothers deserve more than a day. Rather, they need a microphone. Learn more about the Listen to Your Mother book and show HERE.